Me taking the bull by the horns, this year. Hi Everyone, as the year draws to a close, I’ve been looking back on it, and it occurred to me that 2015 has been eventful, fruitful, and very satisfying. Okay, so I didn’t reach any dizzy heights. There was no deal with Steven Spielberg, to make one of my books into a movie. I didn’t sign a 7 figure deal with Penguin, nor did I have a best seller. Poo! Poo! I have a long way to go in this crazy, intense world of publishing, but I like to think that I have already travelled far to get to where I am today. I am still a relatively unknown author, but I have gained readers, and hopefully not lost any. I have also come to realise that I am no longer trying to sprint towards success, but rather, taking every day, one step at a time, and taking the time to learn this business. Yes, it’s been a busy and productive year but, thankfully, I have had the pleasure to read some cracking books by some very talented Independent Authors. I have enjoyed many books in different genres. I have read categories, such as history, fantasy, romance, thrillers, mysteries, and memoirs. Choosing 5 out of the many that I loved has been difficult, and I did wonder whether I should narrow my field down at all, because I know that I am leaving out many other books that I really enjoyed. Before I publish my Favourite list, I just want to thank the readers who have given me encouragement this year. Thanks for sticking with me. I hope that my new offering, coming Spring 2016, won’t disappoint you. 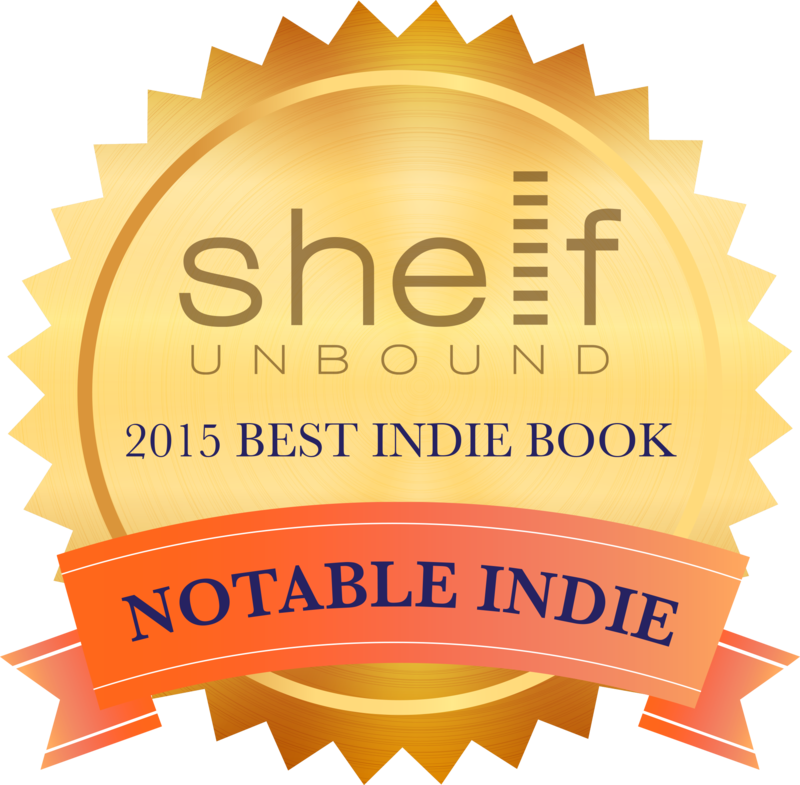 x And thank you to Indie authors…you rock! I love historical fiction genre, so picked this up for a look. First of all, I found the story right up my alley. Vikings, bad boy but with hidden feelings, just the right amount of tension, romance, and historical facts, made this a very enjoyable read. I loved the settings. The characters are well thought out and hang well within the story.Will definitely be getting the next book in the series I loved it! Lucinda E Clarke writes with clarity and in such engaging tones that, as a reader, I felt I was transported to Amie’s Africa. This is a well written story about a girl who goes to live in Africa and quickly finds out that culturally and traditionally, things are very different from what she is used to. There are a lot of details in the book but there was not too much and just enough to evoke the imagery that I was looking for. Taking on the subject of a country that not everyone will know about is no easy task but this author is a talented writer who conjured up a visual banquet and a compelling story. An excellent read. As a lover of Historical Fiction, I was looking forward to reading Sebastian. I was not disappointed, in fact as this dark and at times, sombre tale unfolded, I found myself exactly where I should be…In the story and living with the characters. The protagonists, all with their personalities laid bare were wonderfully written with, flaws, courage, bravery, weakness and spite. Vera, Sebastian’s mother is particularly engaging, although she is weak and self pitying at the beginning of the story. Watch her and the other members of the family grow as war touches Vienna and their lives, family and grocery are thrown into turmoil. Sebastian is the very best of characters with a hopeless looking future on one leg. He fights at a tender age; not a boy, yet not a man, to overcome obstacles in the some of the most difficult circumstances and periods in history. Sebastian becomes a strong, patriotic character who gets rewarded in the end for his courageous efforts to look after his family in the face of diversity and debilitating circumstances. He plays a pivotal role, gluing together Grandpa Oscar all the way to the mean, Piroska and her weak daughter Margit and everyone in between. War, survival, community spirit and a look at mankind’s character in general, makes this book stand out as a great piece of historical fiction and not just a family saga or simple drama. Brilliant and compelling. Darkspire Reaches by C.N. Lesley is a mixture of fantasy, self discovery, magic, and romance. Raven is no ordinary girl, however it takes quite a few chapters until her true potential is evident and her character builds from a low serving girl and healer into a magical creature, who causes a stir on her journey through kingdoms and tribal territories. I enjoyed this book immensely and not just because of the compelling story. Raven, Margie, Connor, Captain Merrill, and the others, owe their character’s appeal to the author, who weaved their personalities with style and wonderful visual descriptions. It does not take long to immerse oneself into the world where these characters live, fight, survive, and love. it was also very apparent to me, that this was a book of exquisite fantasy. By that I mean a book, which captured my mind, and took me to another realm of existence. This is what fantasy is supposed to do, although not all books in this genre manage that with such aplomb. I am hoping that there is something more to come? The book and story ended yet I find myself thinking that Raven and Connor’s journey is not entirely over and that maybe, just maybe we will hear from some of the other wonderful characters again, in another story. The writing was as smooth and as clear as glass, as was the dialogue and speech patterns of the colourful array of characters. I take my hat off to Ms Lesley, who did not take me out of her world for one second, but kept me there from beginning to end. And my favourite read this year. A historical fiction, based on fact. Susan Tarr, a very gifted author, and her fabulous novel Phenomena! Susan Tarr’s writing style is beautiful, graphic, and enthralling. Her story, a mixture of fact and fiction is one that will linger with me for a long time to come. Cruelty and misunderstandings about social behaviour towards our fellow man are all depicted here in a tender way, yet I was saddened by just how low people can stoop when not wanting to take responsibility for others deemed, undesirable. Malcolm and his fellow “inmates” had strong stories to tell and the author’s descriptive writing brought them to life immediately. This young boy who was so cruelly abandoned could have had a full and wonderful life but instead he is destroyed before he is even given a chance. This book holds a powerful message but I’m not going to go into the story, as I believe each reader will take something personal, and unique away with them. Apart from the great storytelling, the actual writing was captivating and inspired. Ms Tarr is a brilliant writer who is now on my radar. I will certainly be wanting to read more of her books. I have found a gem of a writer and that doesn’t happen every day. Susan Tarr is one of my favorite authors too! She writes wonderfully, and Miranda Bay is my favorite book of hers so far. Keep up the good work, Jana. I love your website! Thanks so much for the mention of Darkspire and the wishes, which I am about to grant. Pinned and shared. Love Susan Tarr’s books! You rate Susan Tarr’s book Phenomena as your favourite read! I’ve read it too, and also recommend it. It’s a story that will change people’s views and, I hope, affect social policy.